AppRadio Unchained was an open source endeavor by developers that brought full touch control for your Android smartphone on AppRadio. The mod worked with any head unit that supported Pioneer AppRadio Mode. 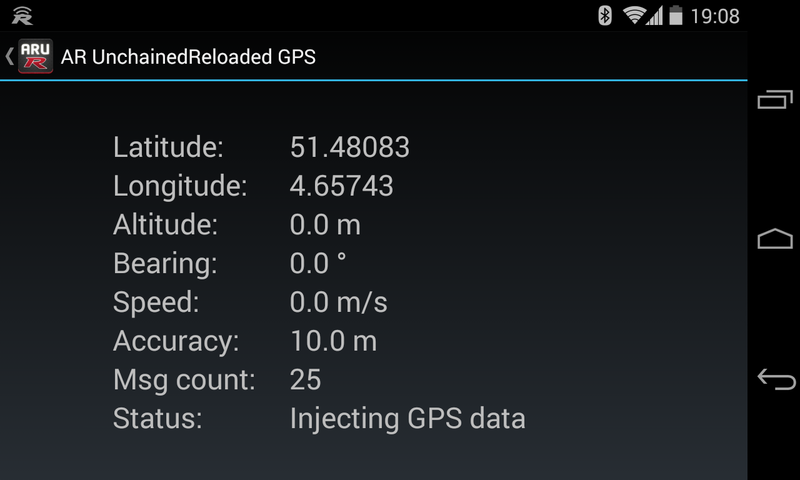 The software was available as an independent download and required a rooted Android smartphone to work. Developers have now launched a standalone app available for purchase on Google Play called AppRadio Unchained Reloaded which replaces Pioneer AppRadio Mode. The app mirrors the Android smartphone interface onto the head unit and allows full touch controls. It is like mounting your smartphone in your dashboard but on a bigger screen. Full details and some additional screenshots are below. AppRadio Unchained Reloaded allows full mirroring of your phone from your AppRadio. This means that any app can be controlled from the head unit screen and not just a few that are specially adapted. For this app to work ROOT is required. Do not ignore this requirement and blame the app for not working! For Samsung devices running 4.4 and up Knox security has to be disabled and SELinux has to be put in permissive mode. This is also a requirement that can't be ignored. 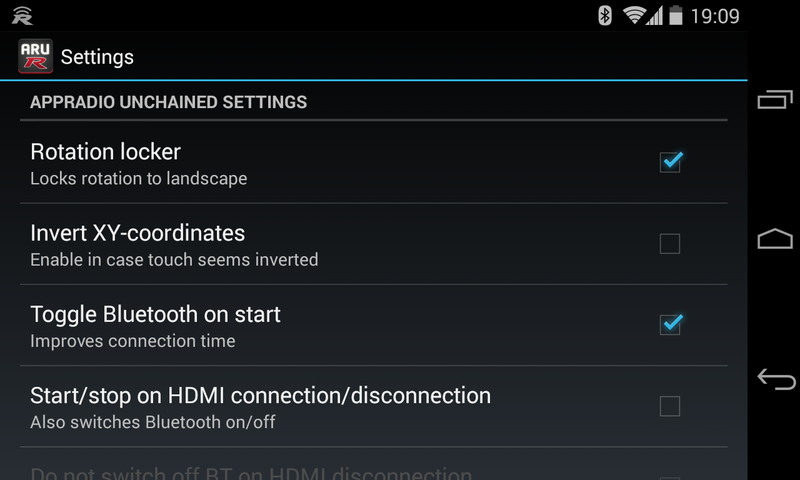 For devices with a locked bootloader this may not be possible. For devices running Lollipop SELinux has to be put in permissive mode as well. Because this app may not work for your setup there's an extended trial period of 48 hours. In order to claim this simply request a refund within 48 hours after purchase by emailing the order number to the support email address. 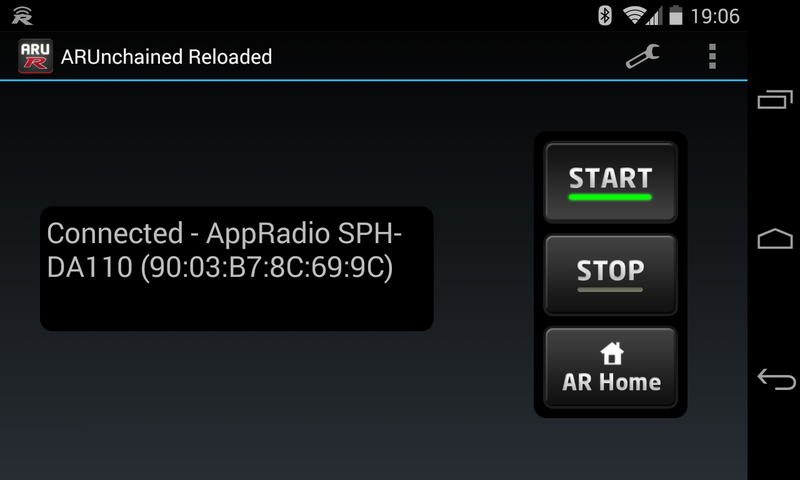 Supported head units: any AppRadio that supports Android AppMode. For example: SPH-DA100, SPH-DA110, SPH-DA210, AVH-NEX4000 and AVIC-NEX8000. AppRadio is a registered trademark of Pioneer. Disclaimer: You are solely responsible for using this app in such a way that it does not impair your ability to drive. Price: AppRadio Unchained Reloaded is priced at $29.95 on Google Play. Link to download: AppRadio Unchained Reloaded version 0.15 from Google Play. The app is developed by Area51 Advanced Technology. The description mentions you will need a rooted Android smartphone for this to work. Developers have also given a 48 hour extended trial period where you can test out the app and see how it works. If you don't like it for any reason, a full refund of your payment can be obtained. Although the description includes only a few Pioneer head units as compatible, we expect all AppRadio Mode enabled devices to work. 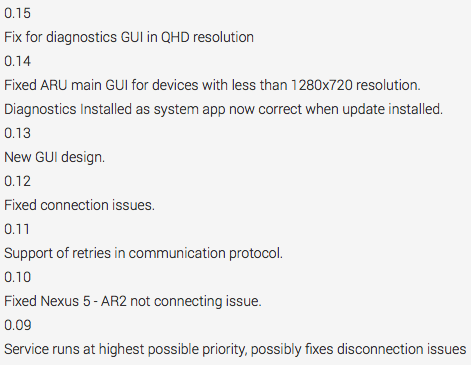 This includes the newly announced AppRadio 4 and the other NEX receivers not mentioned above. The app should be used at your down risk as mentioned in the description. User reviews on Google Play have all been positive so far with the general consensus being the app makes the AppRadio-enabled head unit more functional. On the iOS front, AppRadio Extensions or AppEx was being developed to provide full touch controls of your iPhone from the AppRadio. But development seems to have stalled in the recent months. With Apple CarPlay gaining ground and popularity, AppEx may well be gone for good.